World's most prestigious distance learning awards were presented yesterday in St. Louis, Missouri for excellence in distance learning to individuals, organizations and companies. As a premier organization for the entire distance learning profession, we enjoy honoring some of the leaders in the industry, said Dr. John G. Flores, Executive Director of USDLA. The United States Distance Learning Association (USDLA) presented its 2013 International Distance Learning Awards in conjunction with the 2013 National Conference in St. Louis, Missouri. USDLA is a 501(c) 3 non-profit association, founded in 1987, as the nation’s leading distance learning organization. The association reaches 20,000 people globally with sponsors and members operating in and influencing 46% of the $913 billion dollar U.S. education and training market. These prestigious International Awards are presented annually to organizations and individuals engaged in the development and delivery of distance learning programs. Included in the recognition ceremony were awards for 21st Century Best Practices, Best Practices for Distance Learning Programming, Best Practices for Excellence in Distance Learning Teaching, Outstanding Leadership by an Individual, Hall of Fame and the Eagle for an elected official. The USDLA International Awards are closely followed by the distance learning industry. "As a premier organization for the entire distance learning profession, we enjoy honoring some of the leaders in the industry," said Dr. John G. Flores, Executive Director of USDLA. "Each year these winners raise the bar and exceed best practice expectations for the industry as a whole and we are truly honored by their contributions to the distance learning industry." 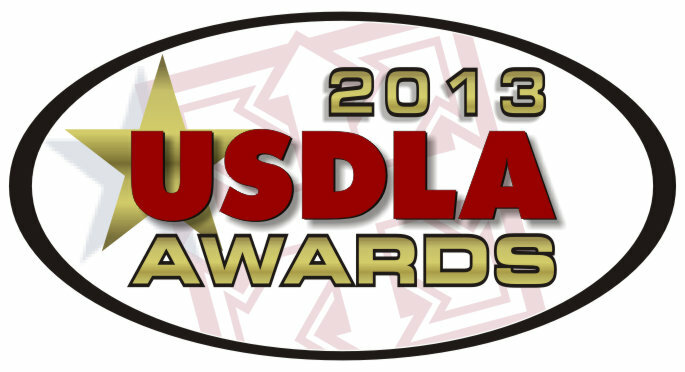 “This year’s USDLA Awards recipients represent the finest examples of online courses, best practices, and leadership in our field. The depth and breadth of the USDLA membership allows us to engage with leaders from higher education, K-12, industry, military, government who daily demonstrate the power of distance learning. We are so very proud and excited to be able to recognize this level of excellence," said Dr. Rob Robinson, President of USDLA.